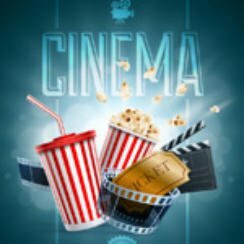 Here are the Arrow Video May 2018 Blu-ray releases which have recently been announced. It’s a far better month for new titles with the Kurt Russell crime action film Dark Blue (2002) making its way on to Blu-ray in the UK on the 7th May 2018. Another UK only title is Rawhead Rex (1986) which is kind of a fantasy horror mystery from the mind of author Clive Barker. Next we have the Wes Craven horror film The Last House on the Left (1972) which has had a 2K restoration and is a limited edition two disc set so you may wish to pre-order to avoid disappointment. In any case its due out on the 28th May in the UK with the US currently due to receive it a week earlier. Just two new titles left and I’ll start with the Italian horror film Death Smiles On A Murderer (1973) which comes out in the UK on 21st May and 22nd in America. Finally there is The Bloodthirsty Trilogy out on the 14/15th May in the UK & US respectively. 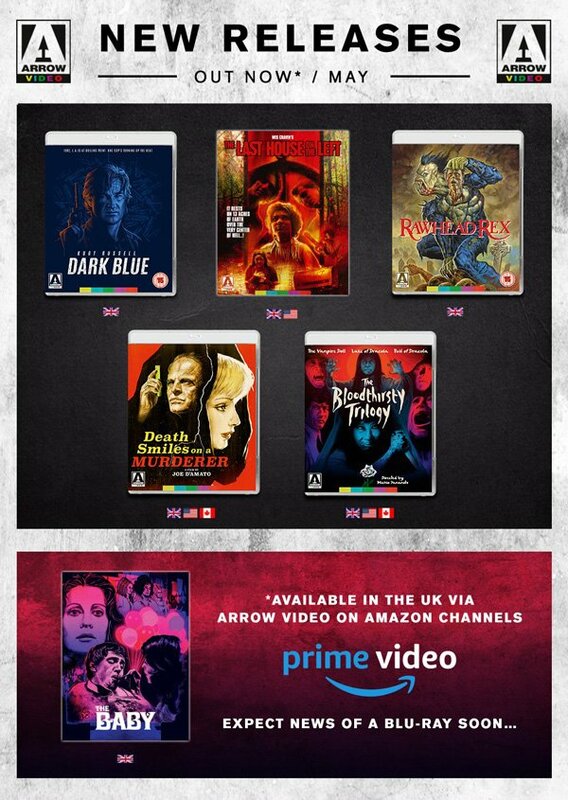 So that’s the Arrow Video May 2018 Blu-ray releases, we plan to review the Kurt Russell film Dark Blue along with Wes Craven’s The Last House on the Left (1972) and may possible add another title for review at some point so keep an eye out for those.